The student who could come closest to the number of Pay Day and 100 Grand bars in the jar without going over would win a Pay Day tin bank. The correct number of candy was 121 bars. Tell us what you dream to be? Students used Superlame.com to put a speech bubble on their picture telling us what their dreams for the future are. The students made dream catchers out of paper plates. We took inspiration from all the pictures of dream catchers on the Internet. 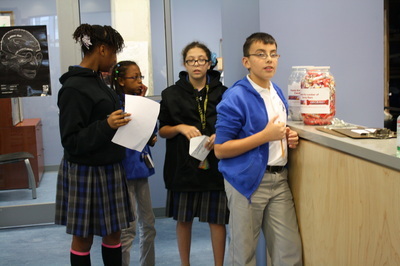 All the supplies were laid out, and the students were expected to use their problem solving skills to design their unique dream catcher. 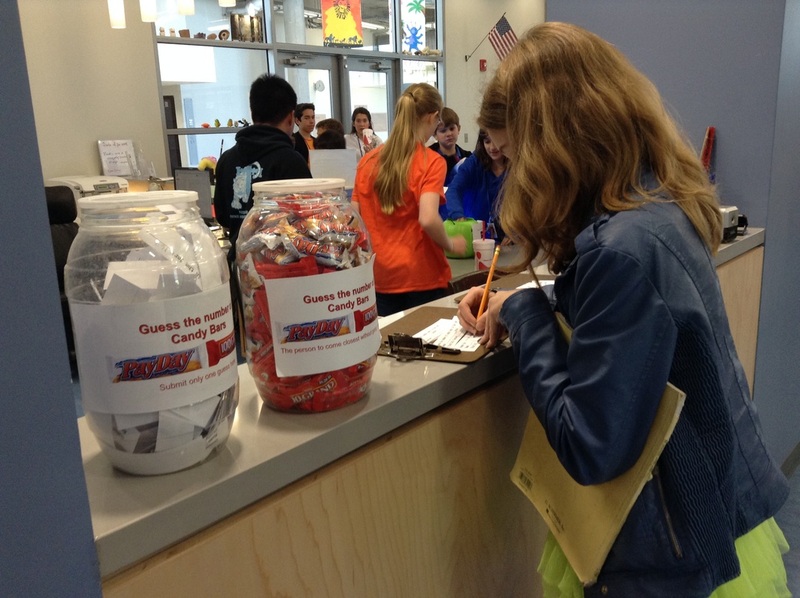 This scavenger hunt was designed as a companion to Chris Grabenstein's book, Escape from Mr. Lemoncello's Library. 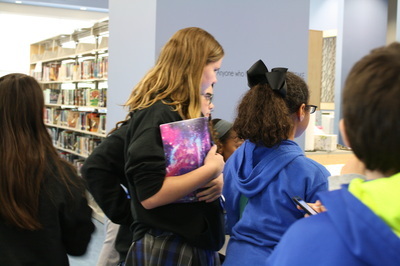 On October 22nd, the middle school book group had a Skype session with the author. The students, working in teams, could only use the Library OPAC to help them decipher the clues. Everyday the students could get one clue about a character from a book or movie who has a special job. If they answer the question correctly they would receive a small prize.